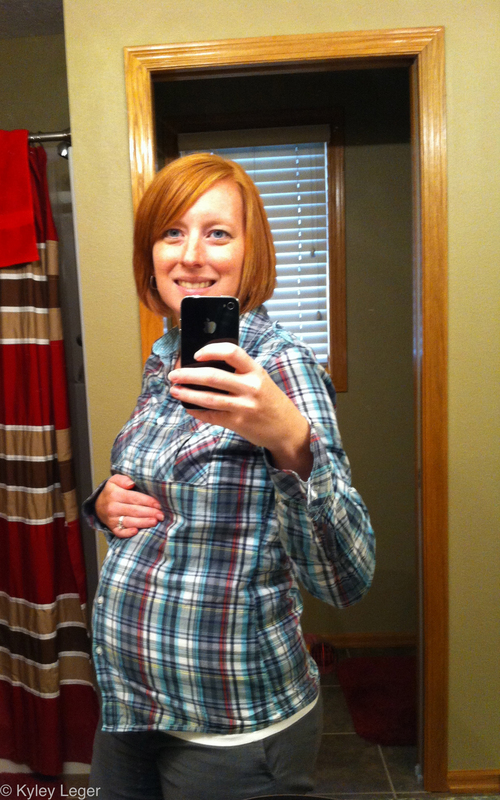 I’m changing up the maternity clothes posts. I’m hooking up with Lindsey over on The Pleated Poppy with What I Wore Wednesday posts. September 11 – New outfit! I found some new colors to go with my Gap pants. The shirt didn’t quite fit as well as I would have liked so I was really layered up. I had a white tank top on to give it some length and then still didn’t feel comfortable so I put on a black vest. I doubt I’ll wear the gold shirt again and that’s unfortunate because I liked the pop of color. I think it looks like it fit more than it felt. My other outfits were repeats and none of them were favorites. My date night outfit was by far my favorite outfit of the week! I love the purple shirt. It’s got plenty of room right now and I wish it was a little tighter, but I know I’ll enjoy wearing it all the way through the pregnancy. 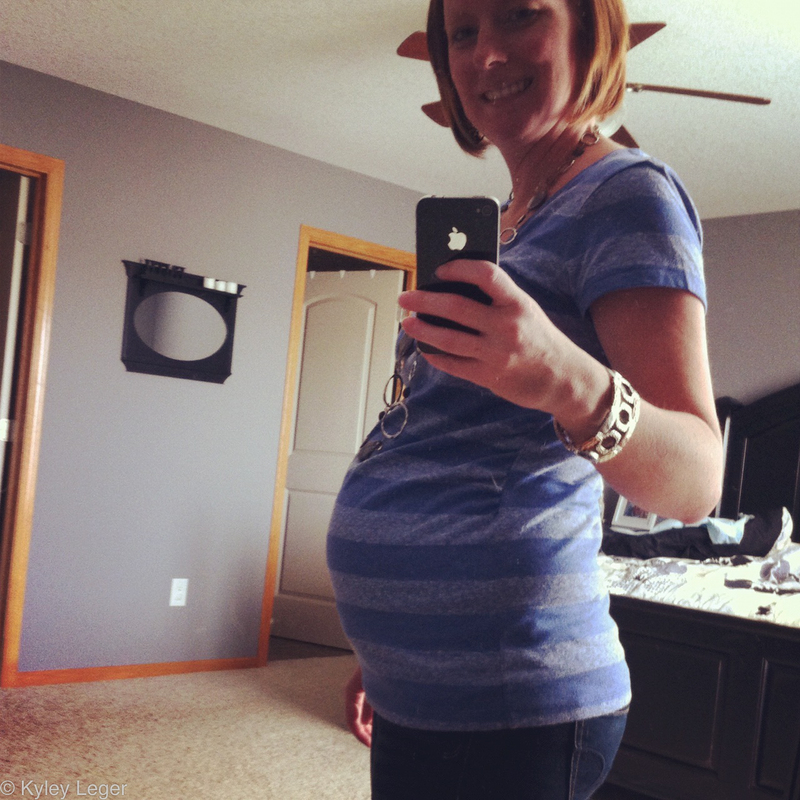 It was the first time this pregnancy, or as long as I can remember, that I felt like I was wearing normal clothes. 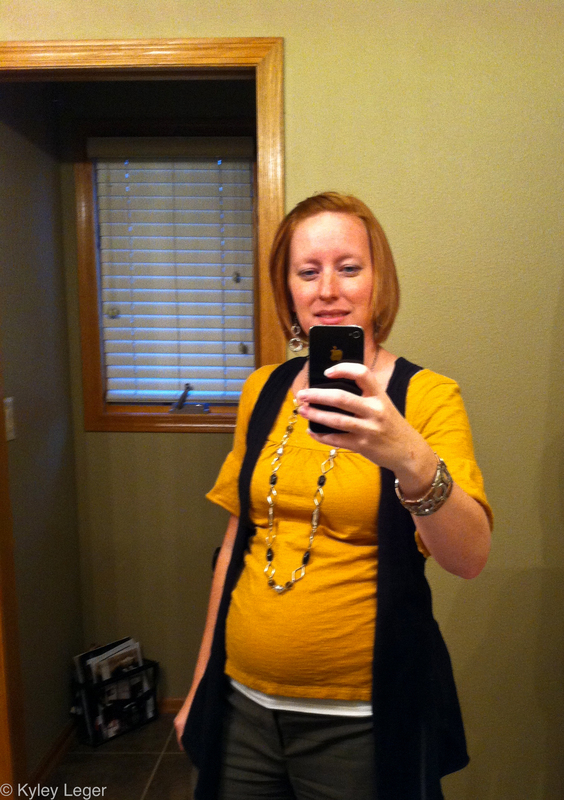 I usually feel like maternity clothes make me feel un-normal. It’s like I search for clothes to cover my body and nothing is really me. Or what I want. Week 25 in the books! 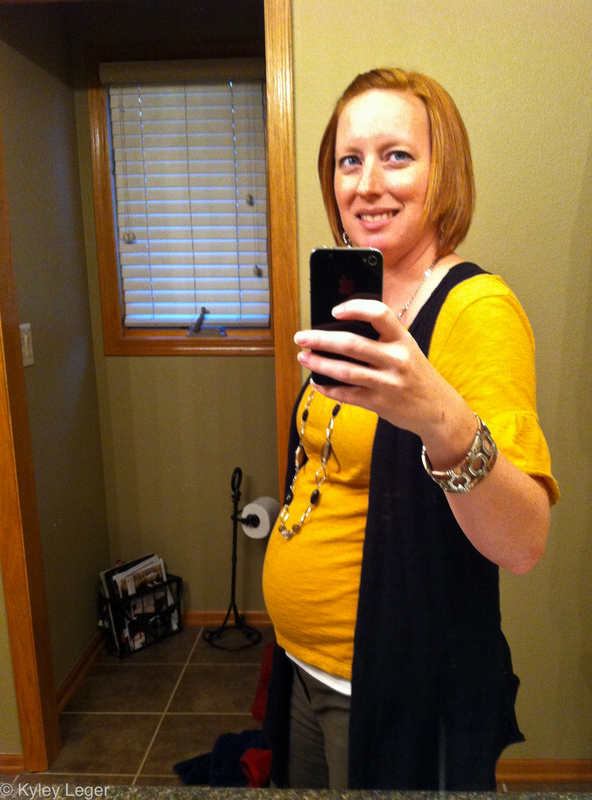 This entry was posted in Pregnancy, Uncategorized and tagged maternity clothes: the adventure, Maternity Monday, What I Wore Wednesday by Kyley Leger. Bookmark the permalink. love the shot of your unbuttoned jeans, haha. Love that GOLD shirt too.. very fall. I know! When I wore those jeans I told him I felt like a normal person!